The purpose of the NDSTP is to serve youth with learning difficulties and their families to realize new transition possibilities! NDSTP provides resources, training and support to youth and families with disabilities on transition to college, post-secondary opportunities and employment. It will also teach how to plan for positive futures, and how to access supports and services after leaving high school. What will NDSTP provide for your youth and parents? * Provide ready access to information and tools that can help them plan successful adult lives. * Helps families and youth to develop advocacy skills they can use to; readily speak-up about their goals for the future, articulate what they need to reach their goals, and actively participate with professionals so they can access needed supports and services. * Transition staff coach families and youth on problem-solving strategies for dealing with challenging transition-related situations. 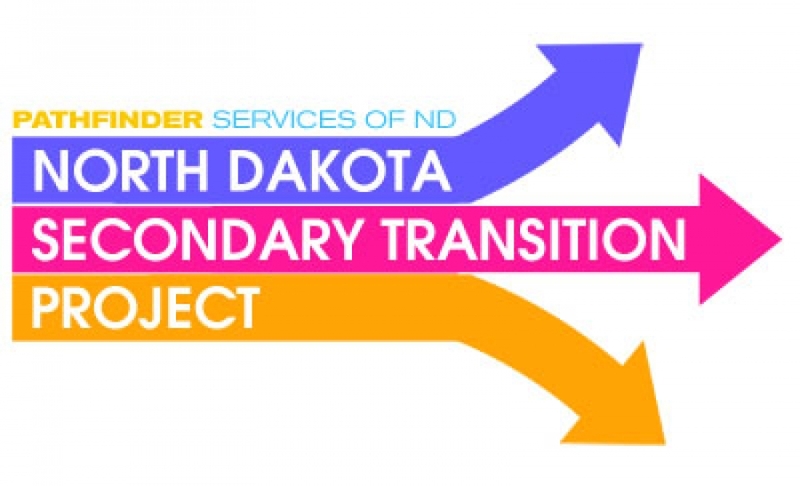 Our goal is to bring our NDSTP curricula to your area, based on the Shift Project by Peak Parent Center. You will need to recruit at least 10 youth and 10 family members/mentors to attend the following sessions. These sessions will be presented at a facility in your designated area and will be scheduled with you to meet your area needs. 1. Take Charge Self-Advocacy Course (five sessions) for 10-12 youth with disabilities and one parent or mentor. These sessions are 5 hours in length. 2. Life Launch workshops (three total workshops). These are 2 hours in length. 3. Each youth will receive a Make and Take Accordion Folder. This folder will ease students into keeping their transition papers and documents in order as they move into adulthood. This opportunity will allow us to work with you to build momentum for transition services within your area, and to create a smooth delivery process to the individuals and their families through a collaborative effort. Our organization would love to join efforts with you when working with youth and young adults when they are planning their lives after high school.